Do you like taking classes online? Have you considered becoming an online instructor for AEA PD Online? We are always looking for Master educators who want to develop their own courses and teach them online for AEA PD Online. One of the requirements for becoming an AEA PD Online instructor includes taking 3 courses from our OLLIE series (Online Learning for Iowa Educators). You can get a jumpstart on this requirement in the new year by enrolling in one, or more, of the OLLIE courses. One of the required courses, OLLIE: Technology for Online Instruction: Moodle, begins January 6, 2016. 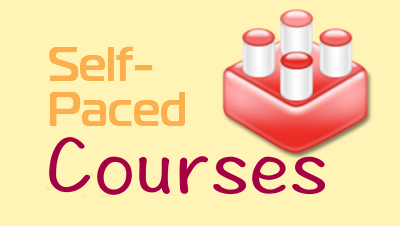 It is a 5-week course designed to help you feel comfortable using Moodle for a host of different purposes, including online courses, hybrid courses, web portals, and online communities. You will develop content in the Moodle platform, including activities, forums, lessons, and assessments. Skills and concepts will be analyzed in context of the Iowa Online Teaching Standards and Online Course Standards. The course is delivered online, in an asynchronous delivery (participants work at their own time and place). A second course, OLLIE: Online Learning Instructional Design, begins February 17 and ends March 22, 2016. This course introduces you to the core principles of online instructional design. You will experience and discuss how to create student outcomes, assessments, and lessons for an online asynchronous format. You also will have exposure to existing online technologies, including web 2.0 tools, as well as online resources and repositories. You will create 2 instructional units, with lessons and assessments, and will practice your understanding of working in small groups. All content and activities created by participants will be able to be used after class is completed in your own online course. To sign up for either course, go to the AEA PD Online course catalog, https://prodev.aeapdonline.org/home and type OLLIE in the Title or Description (optional) field. Then click Search. For more information about becoming an AEA PD Online instructor, check out this webpage, http://www.aeapdonline.org/p/instructor-toolbox.html, or contact Peggy Steinbronn at psteinbronn@aeapdonline.org. Want the latest information emailed to you? Be sure to subscribe to our newsletters! Find Out About Our Brand New Professional Development Opportunity!